Almost all people, especially women, want to get long, smooth and healthy hair. And a good hair care routine can help the hair grow faster, stay healthier and prevent it from breaking off. 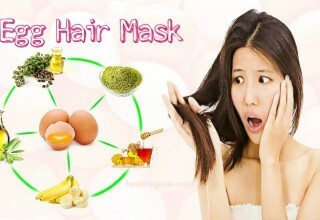 In this article, I will reveal some home remedies for long hair and keep it healthy in details. If you want to get more information about hair care facts, you should keep your eyes on the following tips and then try to follow one or more of them as soon as possible, especially if you want your hair to grow faster at home. This is an effective home remedy to grow the hair and keep the hair healthy. 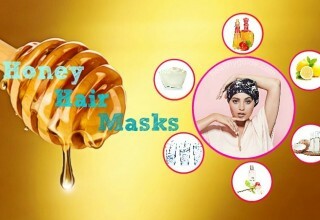 Addition to that, the ingredients in this hair mask also bring shine and smoothness to the hair. You take 1 egg, 3 tbsp. of castor oil and 1 tsp. of vinegar in a bowl and then mix them well to make a paste. Apple this paste onto the scalp and gently massage. Alternatively, you can make another protein hair mask by adding an egg with 1 tbsp. of honey and 1 tbsp. of coconut oil or olive oil. Mix them well to make a paste and apply it to the scalp and hair. Allow this mixture to sit on for about 45-60 minutes and then rinse it off. After applying any of the protein masks, you can use 2 tbsp. 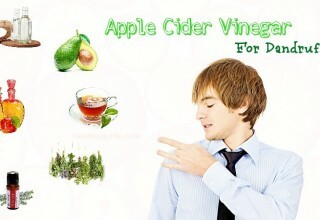 of apple cider vinegar mixed with a cup of water to use it as the final hair rinse. This can help you wash off the remains of the residue and shampoo from the hair. 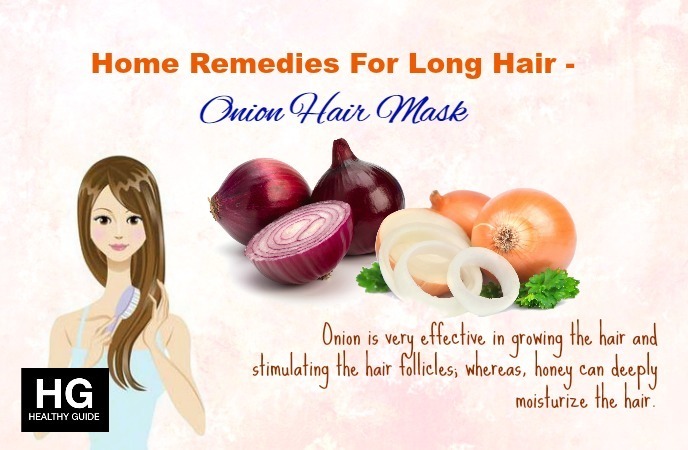 Onion is very effective in growing the hair and stimulating the hair follicles; whereas, honey can deeply moisturize the hair. To get the best results, you should do this massage daily for a month. You grate 1 large onion and take out the juice into a bowl. Apply this juice on the hair and scalp and then massage it with 2-3 tbsp. of honey. Allow this hair mask to sit on for half an hour and then rinse it off. Eggs are very good for faster hair growth as they contain protein, iron, sulfur, zinc, phosphorus and selenium. You can use this hair mask at least once a month. You whisk an egg. Mix it in 4 tbsp. 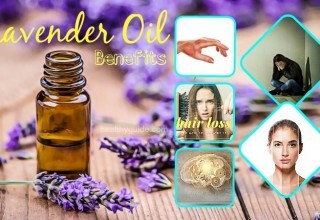 of grapeseed oil and several drops of lavender oil. You apply this mixture on the hair and scalp and allow it to sit on for 30 minutes. Finally, you wash it off and shampoo the hair as normal. Alternatively, you can apply a mixture of 2 egg yolks and 2 tbsp. of olive oil on the scalp and hair. Allow it to sit on for 15-20 minutes. Then, wash it off with cold water and shampoo the hair as normal. Another option for you is to whisk an egg and then add a cup of milk, 2 tbsp. of olive oil and the juice from a ½ lemon to it. Apply it on the scalp and allow it to sit on for 20-30 minutes before rinsing it off and shampooing the hair. Note: As egg has an annoying smell, so you need to use a shampoo that has a good scent. 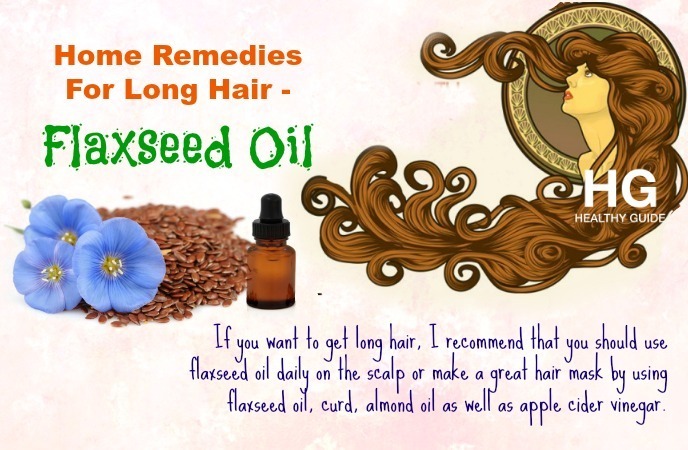 If you want to get long hair, I recommend that you should use flaxseed oil daily on the scalp or make a great hair mask by using flaxseed oil, curd, almond oil as well as apple cider vinegar. Simply, you mix them together, apply this mixture from your hair roots to tips and allow it to sit on for 60 minutes. Rinse it off with shampoo as usual and you will see a positive result after applying this hair mask. Your hair will become soft, bouncy and healthy. Alternatively, you can soak 3 tbsp. of flaxseeds in water for 5 days. After that, when the water has absorbed most of the nutrients of flaxseeds, you apply this solution on the scalp by using a cotton ball. 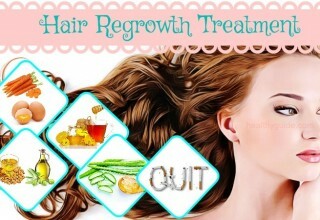 You will see that your hair has started to grow long and thick within a few days. Besides, consuming ground flaxseeds is also helpful to your skin, hair and health. 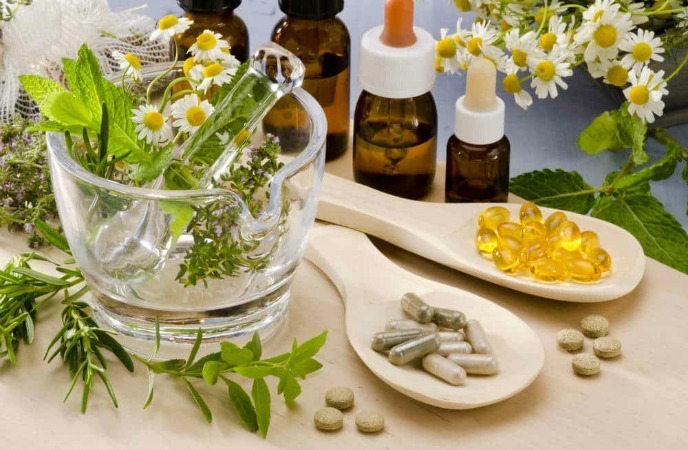 Herbs like catnip, rosemary, nettle, horsetail, burdock and sage help promote hair growth. Especially, rosemary is very good for hair growth as it enhances the hair follicles. Also, it gives luster to the locks. Moreover, the anti-inflammatory and polyphenol properties found in greentea are also associated with the hair growth. 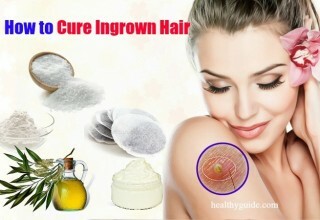 Also, most of the herbs stimulate the growth of hair by improving circulation. You can prepare an herbal solution by steeping any of the herbs as I mentioned above in boiling water for 10-20 minutes. Then, you use this solution as the final rinse after you shampoo and condition the hair. Apart from stimulating hair growth, it will also strengthen the hair and make it manageable and soft. You can mix herbal solutions or essential oils in your usual shampoo. Also, you can drink herbal teas daily. Aloe vera stimulates hair growth and simultaneously prevents hair fall. Also, it treats dandruff and helps you restore the hair’s natural sheen. You mix fresh aloe vera gel with lemon juice, apply it onto the hair and scalp and then allow it to sit on for about 20 minutes. You can also mix aloe vera gel with equal content of wheat germ oil and coconut milk and then apply this mixture onto the hair. Also, you drink aloe vera juice regularly. Actually, this is actually one of the most effective best home remedies for long hair that you should follow, especially if you are looking for the way to boost your hair growth at home. Oil therapy is one of the best natural home remedies for long hair naturally. Oils naturally condition your hair and make it healthier and longer. Some hair oils such as coconut oil, olive oil, mustard oil, castor oil, jojoba oil, sage oil, rosemary oil, lavender oil, grapeseed oil and flaxseed oil are good for hair health. Actually, oil therapy is one of the most effective natural home remedies for long hair that you should make use if you want to get long and healthy hair at home.. This is another one among effective natural home remedies for long hair that a lot of people in the world have been using. The only trouble with this home remedy is that you need to be patient. To use coconut oil, you just need to massage this oil into the scalp and allow it to stay overnight before washing it off the next morning. Over time, your hair will look longer, stronger and healthier. However, ensure that you do not leave the hair too oily with too much coconut oil. This may make the hair look gross and flat. Addition to this, the excess coconut oil will absorb all of the dust it contacts with and this causes more damage to your hair. 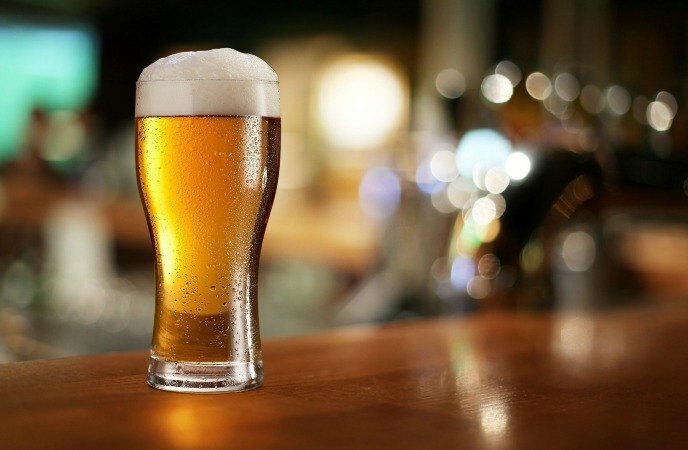 Although beer is not all natural, it still works wonders for your hair health. You can use beer in two ways: rinsing the hair in beer or turning beer into your shampoo. If you want to use beer in your shampoo, the only thing you need to do is to heat the beer in a pan over medium heat until it comes down to ¼ its amount. Then, you mix it with any of your shampoo. Just apply, later up and wash off. Another one of the best natural home remedies for long hair that you should know must include castor oil. Being rich in essential fatty acids and vitamin E, castor oil can help promote hair growth at home. Because this oil is viscous, you can mix it with an equal amount of olive, coconut or almond oil. Then, you massage the scalp with castor oil and allow it to sit on for 30-45 minutes. After that, you shampoo the hair as usual. Also, you can add some essential oils, such as rosemary, eucalyptus, peppermint, thyme or lavender oil to the castor oil and then apply it into the hair. Fenugreek seeds are known as one of the best tips on Home Remedies For Long Hair that people should know and then try to follow for good. 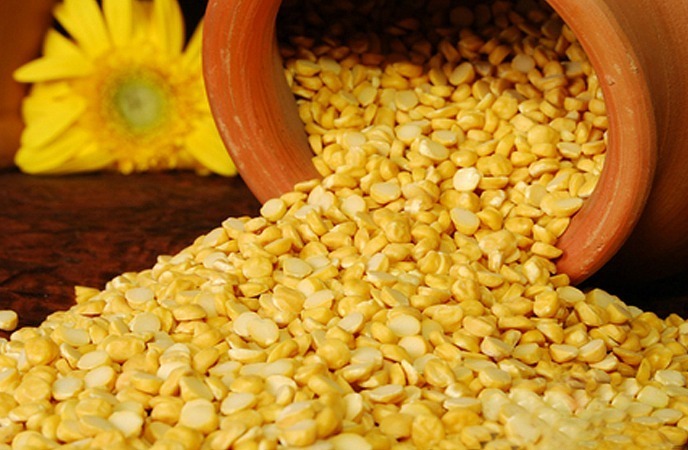 Fenugreek seeds are used to get long hair, reduce dandruff, hair loss and oily scalp. To use fenugreek seeds, you take 2-3 tbsp. of fenugreek seeds (depending on the length of your hair) and soak them overnight. Then, you grind them and add a little whole milk or coconut milk to create a thick paste. Apply it onto your hair, wait for 30-40 minutes and wash it off. Alternatively, you can use fenugreek seeds water to rinse the hair after shampooing. This hair rinse will give you a healthy hair and it will also double the growth of your hair. Using orange is a home remedy that is very effective in treating dandruff and oily scalp. Simply, you mash some peels of orange into the pulp. Use them as a hair mask once a week. Otherwise, you can mix equal amount of apple and orange juice puree and then apply this mixture to the hair to make it thicker and longer. You will see a positive result within a week. Another one on the list of best best home remedies for long hair that you should not skip out must banana. It is also a great conditioner for hair and it can also be used as a hair pack. Banana is rich in vitamins A, E, C and potassium that are important for the hair. So, try consuming 3-4 bananas daily. For making banana hair mask, you just need to mash a ripe banana and then apply this paste on the hair. Also, you can add some honey or milk to it. 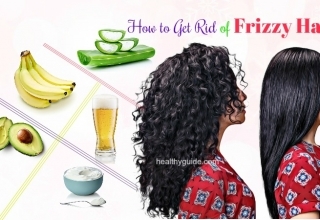 It is an effective home remedy for healthy hair. You take a couple of henna leaves or henna powder and mix them with a little water. You apply this paste on the hair and after about 2 hours, you wash it off. This home remedy will provide your strands with a natural color and make your hair look softer and thicker. Avocado has been used as the greatest hair treatment for several years, which gives radiant hair and provides you with long and shiny strands. You mx avocado with a little coconut oil and then gently massage the scalp and tips. Allow this mixture to sit on for 10-15 minutes and then rinse it off. In fact, this tip actually helps you get long hair effectively, so you need to follow this home remedy as soon as possible. If you are suffering from a thinning hair, potato juice is an effective recipe to help you out. Simply, you get the juice taken from a potato and apply this juice to the hair and scalp. After that, you rinse it off after about 15-20 minutes. In fact, potato juice is known as one of best ways on Home Remedies For Long Hair that you should not skip out, but try to follow this tip as soon as possible. Healthy scalp is extremely important for getting long hair. Therefore, if you want to keep your scalp healthy, you should consider using Indian gooseberry by making a hair mask or use dried Indian gooseberry to make oil. 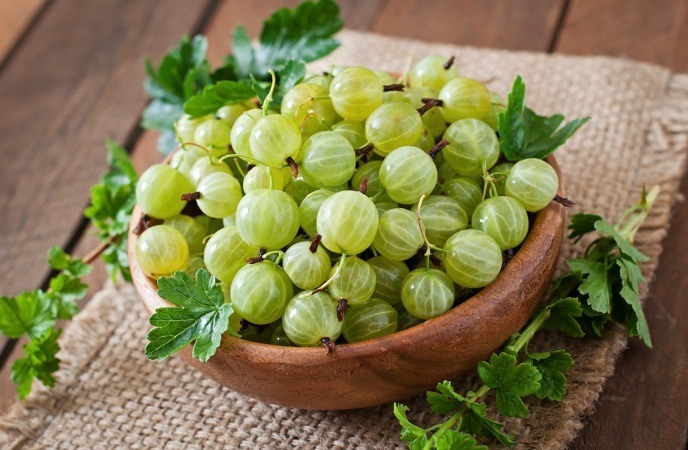 Also, you can add Indian gooseberries to your diet. To make a hair mask, you grind some Indian gooseberries to get a paste, apply this paste on the scalp for about 20 minutesand then wash it off. To mask hair oil, you take some dried Indian gooseberries, bring them to a boil in olive or coconut oil. Allow it to cool down, strain and then use it. If you have bald patches or thinning hair, cayenne pepper is one of the first things that you should use. Mix 1 tsp. of cayenne pepper powder with 2 tsp. of olive oil and then apply this mixture on your bald patches. After that, rinse it off with cold water after leaving it to sit on for several minutes. The way to get long hair is actually through your kitchen. 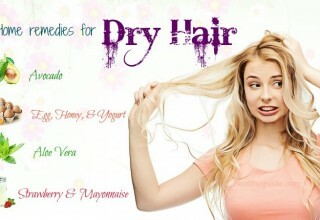 So, try out these ways on Home Remedies For Long Hair and then enjoy a long a healthy hair at all time. You can make a smooth paste by mixing some peppercorns and lime juice. Then, you apply this paste on the hair roots and cover it with a lukewarm towel to allow it to penetrate it. After 30 minutes, you wash it off. 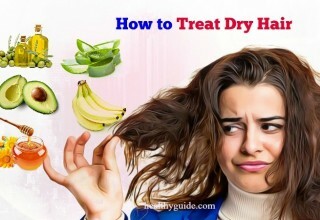 In fact, this is actually one of the most effective best home remedies for long hair that you should not look down, but try to follow this home remedy as soon as possible to enjoy strong, long and healthy hair soon. Garlic oil is known for reducing hair breakage. To use garlic, you boil some cloves of garlic in some coconut oil and olive oil. Then, massage it on the hair roots. By this way, it will enhance the growth of new hair and boost the blood circulation to the scalp. 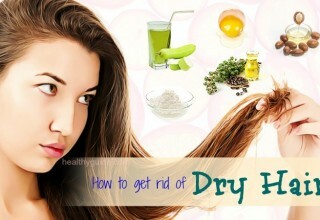 There are some of the other best home remedies for long hair in this article. So you should continue reading this entire article to discover all of them and then consider following them for good. Massaging your hair with vitamin E oil is also a good way to boost the hair growth. You can also crush a vitamin E capsule and apply it on your scalp. This way will help enhance the blood circulation and lengthen your hair. Repeat this treatment 3 times a week. In fact, using vitamin E oil is another one of the most effective tips on Home Remedies For Long Hair that you should know and then try to use it to help your hair grow faster as soon as possible. Apply yogurt to the hair and allow it to sit on for half an hour. Then, rinse it off with warm water. This home remedy is very common and many people in the world still use it for longer and stronger hair. You add Arhar dal to water and allow it to remain for half a day. Remove the dal and rinse the hair off with warm water. This home remedy will repair your damaged hair and, leaving your hair looking soft and silky. Over time, it will stimulate faster hair growth. Using cumin seeds is one of the most effective best home remedies for long hair that you should know and then try to make use of them if you want to get long hair naturally. You soak some cumin seeds in olive oil or castor oil overnight and then massage your hair scalp with this mixture. After about 15 minutes, you wash it off. 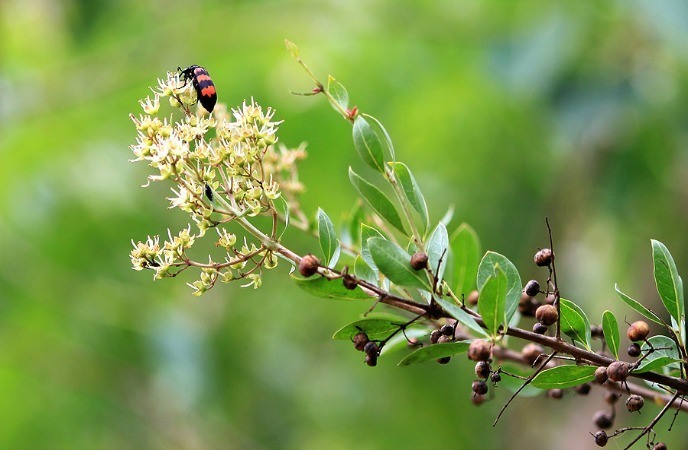 It is known as the flower of hair care due to its wonderful benefits for the hair. 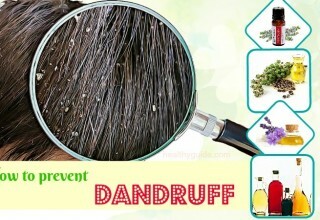 It can cure dandruff and simultaneously boost hair growth. 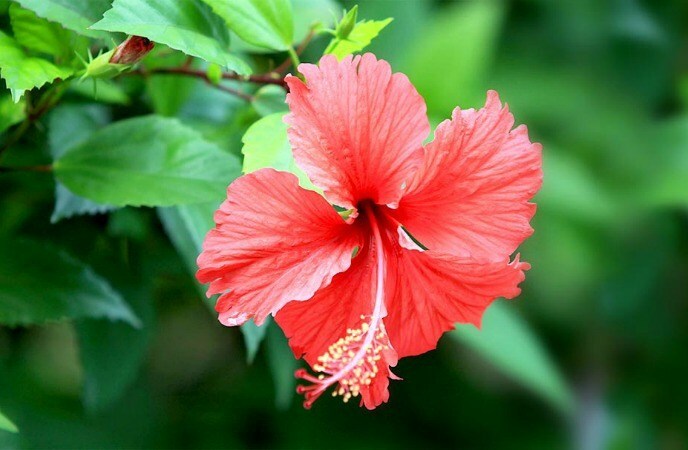 You make a paste by mixing hibiscus flower with sesame oil or coconut oil and then apply it on your hair strands. Wash it off to get shiny and long hair. In fact, a lot of people get their hair broken down before it gets long, so they need to follow this tip to help get rid of this hair condition soon. This home remedy can help render long hair and prevent grey hair. Simply, add green curry leaves to the coconut oil and then bring this mixture to a boil until they burn into the oil. Actually, green curry leaves are one of the best tips on Home Remedies For Long Hair that you should not look down, but try to use it as soon as possible, especially if you are trying to get long hair at home. Try to do a cold-water rinse when you end up your shower. This will help grow your hair and simultaneously keep your long hair looking healthy for longer. Cold water keeps the outer layer of hair looking more smoothly, which helps in preventing moisture loss and heat damage. You just need to do that for several seconds, but over time, this step can make a difference. Having a diet that is rich in protein, essential vitamins and minerals is very important for healthy hair growth. Choose foods that are rich in vitamins A, B, C, E, zinc, iron, magnesium, copper and selenium. Especially, vitamin B-complex is very important for helping the hair grow faster. So, add a variety of foods such as cheese, chicken, milk, yogurt, whole grains, eggs, spinach, salmon, bell peppers, broccoli, parsley, cabbage, grapefruit, parsley, brown bread, avocado, alfalfa and oats to your daily diet in order to nourish the hair and scalp. Plus, try to drink fresh vegetable and fruit juices, including grapefruit, orange, beet, carrot and lettuce juice. Addition to this, flaxseeds, fish, beans, walnuts, olive oil, winter squash as well as other foods that are rich in omega-3s are also good for healthy hair growth because 3% of hair shaft is made of omega-3s. Besides, you should also avoid nutritional deficiencies as they are likely to damage the hair. For instance, zinc and vitamin E deficiencies may result in hair loss and hair thinning. Aside from eating a healthy diet, you can try taking supplements such as biotin, folic acid, kelp, flaxseed oil, fish oil, ginseng, evening primrose oil, saw palmetto, ginkgo biloba, etc. to stimulate faster hair growth. Folic acid and biotin are great B-complex vitamins that help with faster hair growth. Before you take any supplements, ensure that you consult a doctor first to ensure that you take the proper amounts and they the supplements you take will not interact with any of your medications. When it comes to best home remedies for long hair, you should try to drink plenty of water for good. In case you are dehydrated, it will show in the hair. The hair will become dull, dry and be more likely to fall. This means drinking water is an essential part of getting longer hair. Take a water bottle with you and aim at drinking at least 2-3l of water daily. In case you have trouble in drinking plenty of plain water, try drinking flavored water or herbal tea. Also, avoid drinking caffeine and alcohol and do not drink soda too much. Instead, choose water. Another one on the list of natural home remedies for long hair that you should know and then try to follow must include flipping the hair upside down. This is one of the best tricks among natural home remedies for long hair that you should not skip at all costs! Just flip the hair upside down by flipping the head over for 2-4 minutes every day. By this way, it is believed to help improve blood circulation to the hair and scalp. Massaging the scalp promotes the blood circulation to the scalp, which stimulates the hair follicles. Besides, deep conditioning the hair at least once a week with a hair mask or a hot oil treatment is a good home remedy for hair health. Then, take 5-minute break and cover the head with a hot towel. This process will help the hair absorb oils and nutrients and leave your hair shiny, soft and healthy. Besides, it will also help you get long hair. Stress is one of the main factors that may lead to hair loss. It is thought that stress can affect the normal hair cycle and stop the hair growth. Therefore, when you want to stimulate faster hair growth, you need to minimize the stress you have in your life. 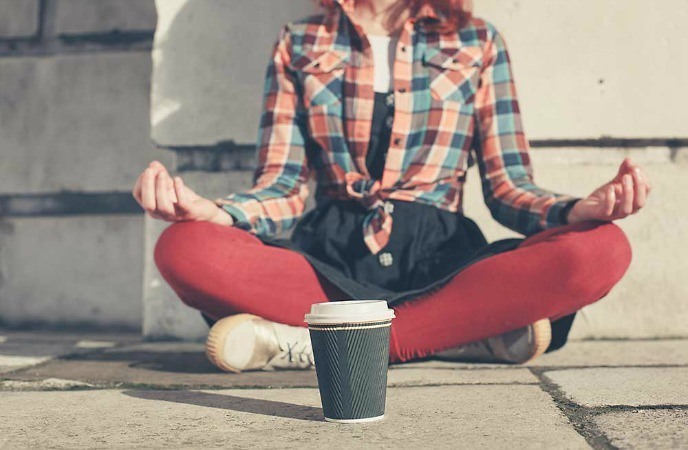 To reduce stress, you can practice meditation, breathing exercises or any of the other relaxation techniques. Also, make sure that you get enough sleep because the growth hormone is given off during your sleep. 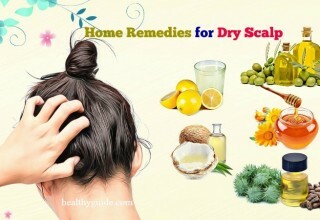 Do you want to discover other best home remedies for long hair? Continue reading this entire article and then try to follow one or more of these tips for good. When it comes to best home remedies for long hair, you should not skip out the fact that having enough sleep can help your hair grow faster naturally In fact, the growth hormones release when you are sleeping, so having enough sleep can help you get long hair faster and more easily. Aim at having 7-8-hour sleep, never sleep with tight ponytail or braid because it can stretch the hair and result in head pain and hair loss. Sleep on a silk pillow case to have a good night sleep. Your efforts to get long hair will not achieve good results in case you have medical problems such as hormonal imbalance, thyroid disorder, chronic illness or severe infection. Some certain medications such as beta-blockers, birth control pills, anabolic steroids, anticonvulsants, antidepressants, and other medications may lead to problems like hair loss and hair thinning. Addition to this, seborrheic dermatitis as well as scalp infections may cause problems such as mild hair loss and itchy scalp. So, determine any underlying problems resulting in hair problems and deal with them as soon as possible so that they cannot affect your hair growth. Another one on the list of best home remedies for long hair that you should know and then try to follow it must include choosing the proper hair care products. Chemically-packed shampoos, conditioners as well as styling products can have negative effects on the hair if you use them in the long run. Their prolonged exposure is bad for both the hair and overall health. Instead, use mild conditioners and shampoos. One of the common causes of damaged hair is the use of hot styling tools. Stop over-styling the hair. Instead, use some natural methods to straighten and curl the hair. Using too much of chemicals, heat and styling products are main causes of hair loss. It may reduce the hair thickness, leaving the hair looking dull and dry. Avoid using curling or straightening machines and limit the use of blow-drying. If you want to curl or straighten the hair, try following natural remedies that are less damaging and harmful. Another one of the best best home remedies for long hair that you should know must include using conditioner whenever you shampoo. Over time, due to coloring and heat styling, your strands start to become thinner at the bottom. And using conditioner can help you replace the proteins and lipids inside your hair shaft, seal the cuticles in order to prevent damage from occurring so that your hair can look healthier and grow longer. 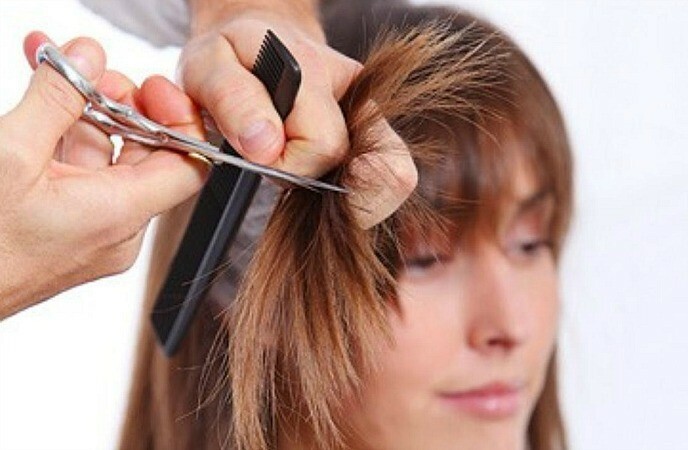 Trimming your hair regularly helps to stimulate your hair growth and removes split ends. Pollution and regular styling make the hair prone to damaged cuticles and split ends. Try to trim the lower part of your hair every 6-8 weeks in order to make sure that the damaged hair is minimum and this will also stimulate the healthy hair growth. 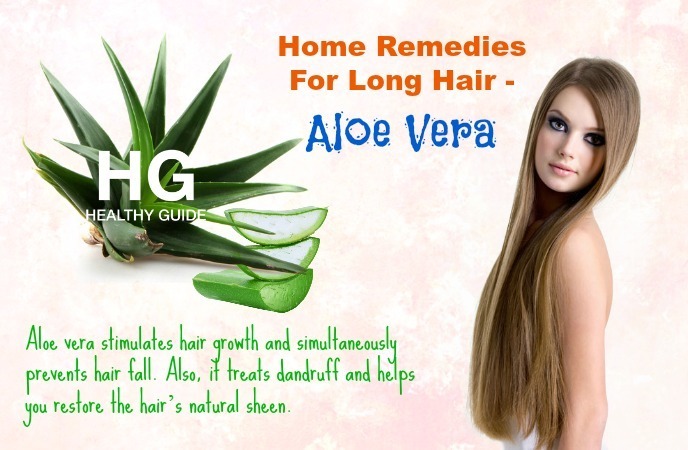 In fact, this is one on the list of best home remedies for long hair, so you should consider following this home remedy to get long and healthy hair as soon as possible. This is the last but very important one on the list of the best tips on Home Remedies For Long Hair that you should not skip out, but try to follow this tip as soon as possible, especially if you are trying to get long and healthy hair at home. You should use a wide-toothed comb to brush your hair. Once the hair is dry, get started combing the hair from the bottom and then gradually work up. This will also help prevent hair loss. Besides, brushing hair is also good for distributing the natural oils. Try to brush the hair twice a day, especially before bedtime. This will make sure that the blood flow to the scalp is best and the hair grows the most when you are sleeping. Remember that your hair cannot grow overnight, so you need to practice patience and try to get long hair by following a proper hair care routine and using haircare products that suit your hair type. By following these tips as I mentioned above, you will experience longer and healthier hair soon. 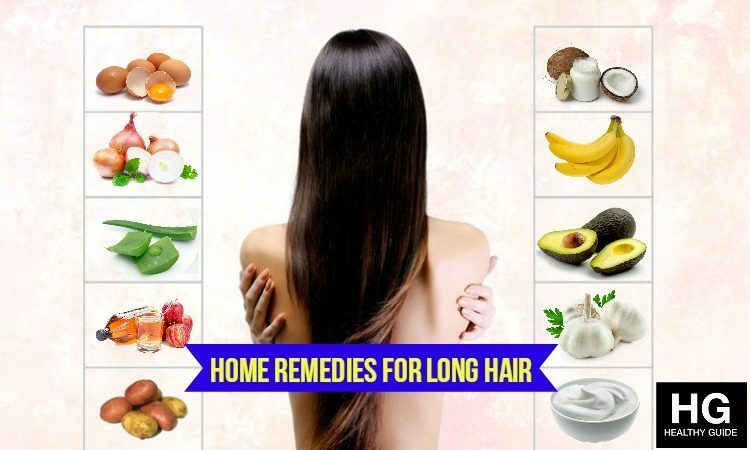 After you read this article of 41 best home remedies for long hair, I hope that the readers of Healthy Guide now can catch and make use of some natural home remedies for long hair and then follow one or more of these tips as soon as possible. These home remedies are proven to cause no unwanted side effects, so you do not need to be worried when following any of them. If you know other effective best home remedies for long hair, remember to leave your comments in the comment box below.